The state of Alaska is holding a public meeting on July 12 in Anchorage to take public comment on whether it should draft standards for zip line operations in the state, and if so, what standards it should use. According to reports, the Department of Labor called the meeting in response to growing public interest in the safety of zip lines. Deborah Kelly, director of the department’s labor standards and safety division, said, “inquiries from various members of the public” brought the issue of zip line regulation to the department’s attention. Since zip line operations started becoming popular in Alaska back in 2000, the state hasn’t been made aware of any significant safety issues with any of them. Only one lawsuit has been filed against a zip line operator, and that was in 2016 by a guest who broke his ankle after a zip line brake allegedly failed. Like most operators in states that are considering or following through with regulation, zip line business owners in Alaska appear to be supportive of the effort, as long as the regulations are aimed at keeping everyone safe and not unreasonable for operators to adhere to. 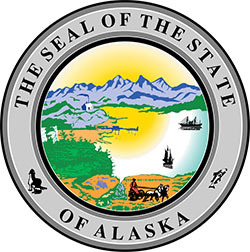 Click here for more information from the Alaska Department of Labor.